To Save the Planet is a musical fable about the global environment and what we can do to help. An inspiring story combine with fabulous music. Performed by the touring CenterStage Players Youth Troupe (who were )inducted into UNEP Global 500 Award Hall of Fame in 1994). 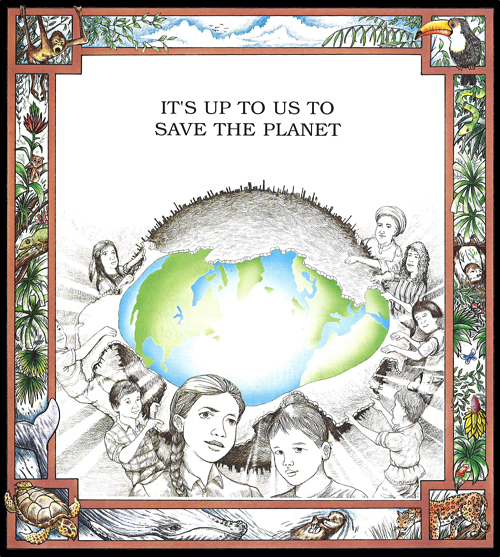 "We Are the Ones" (the finale track) was the theme song for the 1992 World Earth Day celebration and C.A.R.E. As the story unfolds, more and more of Earth's creatures are lost to extinction. But it isn't until the children disappear that the people really take notice. The children have been spirited away by the scientist's daughter, driving home her point that ecological neglect will forfeit all their futures. The scientist searches far and wide, but finding the children is only part of his problem. Once found, he must convince them to return. In a moving speech, he explains how their generation will be the one making the most important environmental decisions. They must come back and be part of the solution. Together, they return To Save the Planet! 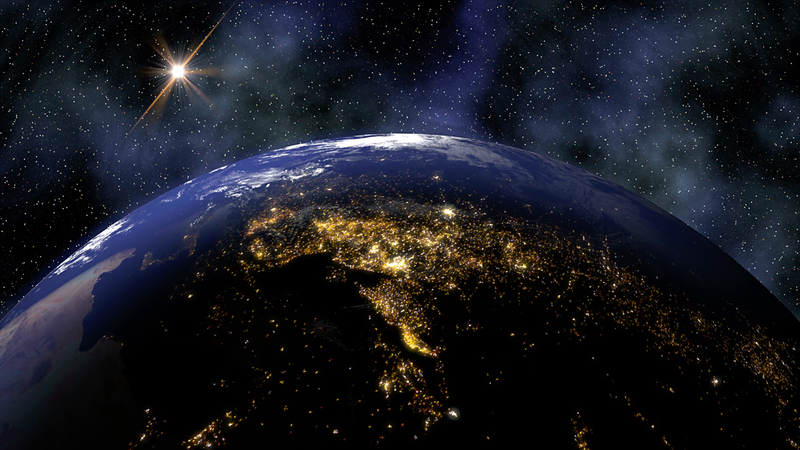 To Save the Planet is a musical for everyone interested in the future of our only home...the Earth. This one-hour musical has been performed over 600 times on 5 continents by school children of every background. The story follows an environmental scientist and his dedicated daughter as they journey to the world's worst ecological hot spots. At every stop, the upbeat music reflects the cultural heritage of the country. They visit Pakistan, Brazil, Mexico, the Pacific Islands…and tackle issues of deforestation, pollution, over-fishing, population and energy consumption with intelligence, humor and even-handedness. An unforgettable show! If you are interested in full scripts, background accompaniment CDs or more information, contact Tobin Mueller on his Official Website or learn more at CenterStage-Musicals. Appropriate for grades 2-12; target grades for stage performance: 5-12. This recording was made in 1991 and has been remastered - originally produced by CenterStage Productions, Kim Vanderhyden and Tobin Mueller; engineered by Jeff Maroszek at Bonzai Studios. Several of the CenterStage Players Youth Troupe went on to achieve recording/performing careers of their own. This recording features several: Emily Rohm, Jessica Flood, Brianna Davis, Holly Thomas, Kate Brehm and Anton (Twon) Mueller. The character Dr. Murdock is played by Chris Vanderlinden; Melanie is played by Lindsey Teetaert. Click the Play buttons below to listen (website may take a moment to start streaming) or download mp3s, and click on the Lyrics/Illustration buttons to see lyrics and artwork (they will pop up in a new page). See CenterStage-Musicals for more information. All music and lyrics by Tobin Mueller, ©1988/2019.